In this instance, we’re referring to Costner’s centrifugal oil separation machines, which are being checked out by BP in the Gulf of Mexico. 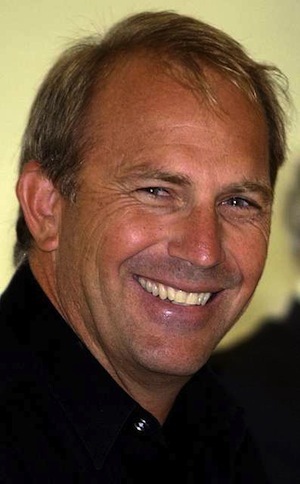 They’ve been developed by Costner’s company, with $24 million of his own money and the wonderfully appropriate name of Ocean Therapy Solutions. A great technical tale appears to be unfolding here, powered by a visionary sense of environmental utility that was triggered by the Exxon Valdez spill in 1989. Kostner was ticked off about that, big time. So, as The New York Times’ Green blog reports, he bought the emerging centrifugal technology from the government and invested heavily in getting it ready for another big spill. Costner is confident they’ll do just that. “I’m very happy the light of day has come to this,” he said at a news conference in New Orleans, explaining he was “very sad” about the spill “but this is why it’s developed (the centrifugal technology).” Costner’s barrel-like machines will be mounted on barges and trundled out to spin oil from water. Details of any contractual relationship between BP and Costner, should the machines indeed work, have not be disclosed, The Los Angeles Times reports. This is the way it is with technology – an idea and the vision to extend it, the ingenuity to perfect it, and the commitment of resources, personal or borrowed, to prove it out. 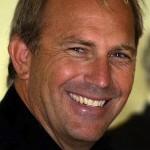 All those images of “Waterworld,” “Field of Dreams” and other Costner films that flickered on so many movie screens around the world may now be contributing to a happier reality than would have been likely without Costner’s moxie, providing he’s proven out, which many people along the gulf are hoping for. Here’s an exciting story of two carmakers collaborating for mutual advantage and serving U.S. energy goals in the bargain. Toyota and Tesla Motors are parterning to reopen the former General Motors/Toyota NUMMI plant at Fremont, CA, to build electric cars there – and potentially recall thousands of laid-off workers. Tesla Motors, advises Wikipedia, “is a Silicon Valley-based company that engages in the design, manufacture, and sale of electric vehicles (EVs) and electric vehicle power train components. It is currently the only automaker building and selling highway-capable EVs in serial production (as opposed to prototype or evaluation fleet production) in North America or Europe.” It produces at least 15, mostly custom-ordered cars a week. Another electric car initiative in the U.S. will enliven the marketing scene that’s been developing around the forthcoming Chevy Volt and Nissan Leaf. 4,700 people worked at the NUMMI plant and it’s possible that when Tesla’s Toyota-assisted sub-$30,000 car rolls out even more than that number will be employed. This is a significant development. I lived only about 10 miles away from that plant and it was a big employer when I was young. I recall touring the plant with my Boy Scout troop. I understand Tesla’s existing models sell from about $50,000 to $100,000, so a sub-$30,000 vehicle is a big step forward. I’ve read reviews of their existing models and they have amazing acceleration. We’re not great fans of lists (though we sometimes get curious about what made a given list and what didn’t). But here’s one that anticipates a prime seasonal activity: Summer reading. Two gents who write for the V3.co.uk blog, Iain Thompson and Shaun Nichols, have compiled a list of the “Top 10 science fiction writers.” “We’re going to get hammered on this one,” they note right off. And they’re getting lots of comments, some critical of their choices and others supportive. 1. Arthur C. Clarke – “The most popular question asked by SF authors is ‘What makes us human?’, a query that Clarke regularly made with his most popular works,” including, of course, 2001: A Space Odyssey. And two Honorable Mentions: Gene Roddenberry (author of the original Star Trek series) and Charles Stross (Glasshouse). Phil Murray argues in a meaty article in KM World that we’re paying too much attention to information, trying too hard to cope with its rising tides, and not enough to meaning. He’s got a point, a truly profound one, actually. We’re preoccupied, for instance, with all the coverage of possible damage from the BP oil spill, and not giving enough attention, at least not yet, to whether it’s smart to drill in 5,000 feet of water in the first place. We’ve had the information that it can be done, but is it wise to do it? What’s the current meaning of our energy situation, anyway? In what context are we looking at that? “Meaning? Yes, ‘the thing one intends to convey especially by language,’ according to the Merriam Webster dictionary,” Murray writes. “…The connections among things. Causes and effects. In the context of work: the relevance or importance of those connections. The subject of logic, argument and epistemology. A pervasive, essential aspect of rational human activities that is accepted as critical to creation of value and economic progress, and yet an idea routinely dismissed as unusable, elusive and unmanageable at the same time…” So keep piling up the information, without asking whether it’s really worth the risk of an explosive gas bubble surging up from the ocean floor. Knowledge is information refined by a disciplined approach to reality exercised on a different plane than those of incoming flows or profit projections. These sorts of things ought to be concerns for knowledge workers everywhere, Murray (whose article went to press a couple of months before the BP spill) rightly insists. So let’s try hard to get focused on relationships and meaning, along with information. That’s where the real value in knowledge work (I almost slipped and said “intellectual work” ) lies.